Can Do-It-Yourselfers Really Build with Faswall? 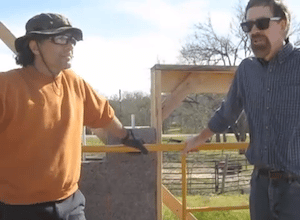 Sam Blasco is a woodworker in central Texas who’s building his new home single-handedly using Faswall block. If you’re wondering if you really can build with Faswall, consider this: Over 50 percent of our customers last year were DIY builder owners. They controlled the pace and the quality of their own projects. Building with Faswall ICF can be almost as direct and straightforward as building with Lego® blocks, if you take the time to get your design right. This means that the distances from the corners of your home to the window and door openings is designed on one- foot-increments. You also want distance from each window to the next window (or door) to be on one-foot-increments. The ideal for do-it-yourself builders is to be able to take the block and never have to cut it. Your layout on the foot increment system makes installing Faswall block like doing Legos®. It’s that simple. Our DIY builders across the USA and Canada love building with the block especially when they do not have to do anything but slightly trim the block as they place it into the wall they are building. A number of our DIY customers take stock of their building capabilities (and their health!) and they realize they are wiser to hire a crew to come in and help with the lifting and the installation. But they remain actively involved in the day-to-day building of their own homes by being on the crew and installing the block. So what if you decide you need a builder, but you can’t find one who is confident working with Faswall ICF? Simply call us. We have relationships with good quality builders who like to install Faswall walls, and will travel to sites around the U.S. and Canada. We we often work with a homeowner’s builder for several days to help get things going and train the crew. Sometimes we’ll even stay until the shell is raised. I am looking for a place to purchase Faswall panels……not blocks…. 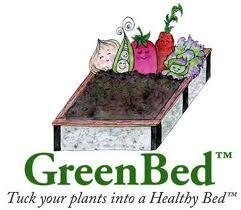 I don’t want the garden bed kits….. Sorry this is a little late, were you able to get access to the faswall panels?